Tonight at 9PM EST/6PM PST, “JEK III Productions” presents a special “Chavez vs. Vera II” edition of “The Pugilist KOrner’s: Weekend Wrap”!! Throughout the first thirty minute segment of our two hour program, The Pugilist KOrner team will discuss Amir Khan’s angry tweets, regarding Floyd Mayweather’s “apparent” decision in choosing WBA Welterweight Champion Marcos Maidana as his May 3rd opponent at the MGM Grand in Las Vegas, Nevada. Does the boxing community really care any longer? James and Joseph will also talk about the backlash generated from the Magomed Abdusalamov tragedy, which resulted from the Mago/Perez contest on November 2nd of last year. Is the scrutiny currently received by the NYSAC warranted? The dynamic duo of “The Pugilist KOrner” will also discuss the Lightweight Quarterfinals of Banner Promotions’ “Boxcino 2014” tournament, which took place at the Edgewater Casino in Laughlin, Arizona this past Friday night, as well as dominant performances from Hank Lundy and “The Young Master” Amir Imam. At the half hour mark of the show, “The Pugilist KOrner’s: Weekend Wrap” is honored to feature elite level trainer Ronnie Shields!! The lifelong boxing mentor will discuss the big Chavez/Vera rematch, which is slated to take place this Saturday night at the world renowned Alamodome in San Antonio, Texas. Who has the advantage going into the highly anticipated contest, and will the ringside judges from the Lone Star State be a factor in part II? Does either Chavez or Vera need a knock-out to win the second time around? In the final segment of the evening, we’re proud to feature master strategist James Gogue on “The Pugilist KOrner‘s: Weekend Wrap”. The three decade boxing coach will examine the upcoming match-ups between Crawford/Burns, Lomachenko/Salido, and Chavez/Vera. Mr. Gogue will discuss the action that ensued this weekend on ESPN, HBO, and Showtime this weekend respectively, as well as the big events scheduled in March. 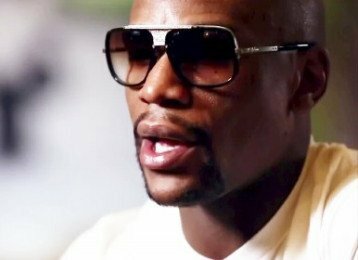 Next boxing news: Left-Hook Lounge: Mayweather (Decision and Legacy), Khan’s Rant, and Bradley/Pacquiao Testing Fiasco!